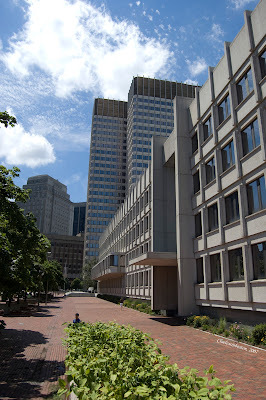 Here is a shot of the JFK Federal Building from a different angle. I think it was my taking pictures from this side of the building and being this close that resulted in my being stopped and questioned. It's not that close! From that distance you'd need a telephoto to be able to "photograph their security procedures." Have a nice weekend, Jim.